The Fixed Gear Classic returns to the NSC Velodrome for its victory lap, August 1-2. 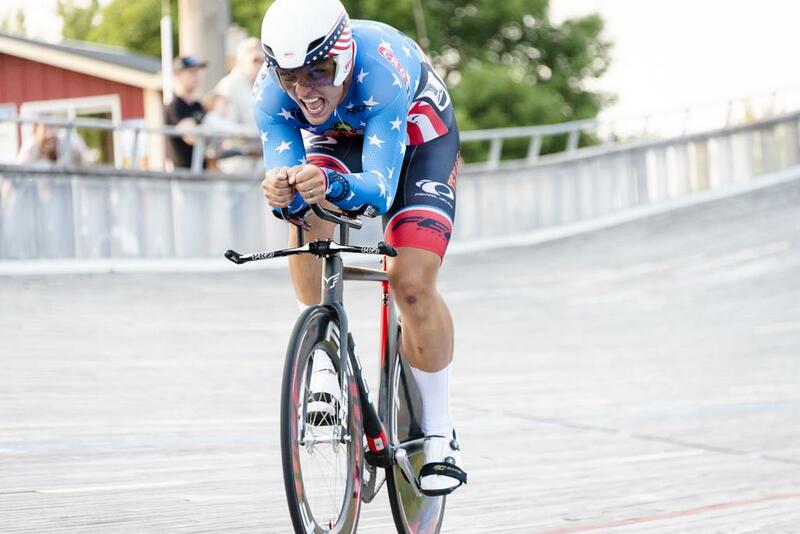 The country's top track cycling talent will descend on the boards in Blaine in our biggest event of the season. Racers will vie for 4 titles - Sprint and Endurance Omniums for both men and FTW riders. Prize money will be equal across all 4 omniums. You won't want to miss this. Tela Crane (Broadmark Capital) dominated both the Sprint and Endurance Omnium competitions, winning all but one race throughout a long day of rain-delayed racing. John Croom (Texas Roadhouse) broke a 26-year-old track record in the Kilometer Time Trial with a time of 1:05.707. The previous record, set in 1992, was 1:06.069. Croom also took the Endurance Omnium. Ethan Boyes added a win in the final race of the Sprint Omnium to two 2nd place finishes to edge Croom for the top step in the Sprint Omnium. In a Fixed Gear Classic first, rain postponed Friday’s events, so the entire event was run on Saturday. Riders competed over an 11-hour period on Saturday. View the general weekly schedule of when the velodrome is open for training and racing. ©2019 National Sports Center Cycling Velodrome | Blaine, Minnesota / SportsEngine. All Rights Reserved.